I’m having an interesting conversation with Timo Rissanen, a Ph.D candidate and undergraduate fashion professor at the University of Technology in Sydney Australia. He’s interested in the concept of zero waste of materials in manufacturing. I’m doing a series of two posts on this. The first one is Timo’s latest email as a matter of introduction to the topic and the second entry will be a pattern puzzle from one of his protégés (I was definitely feeling protégé envy). Timo is also the person who told me about David Pye’s ideas on the workmanship of risk, an interesting idea I’ve yet to explore. I’d be interested to hear what you make of his ideas. The point he makes in his paper that I think many people lose sight of, is how the production of a garment is driven and how this affects material utilization. He rightly says “Hierarchical divisions of labour within the fashion industry can create limitations for innovation in sustainable fashion design strategies” meaning that the traditional means are designer ->pattern maker -> marker maker. Unfortunately, the tail end of the process is where most utilization strategies are focused. 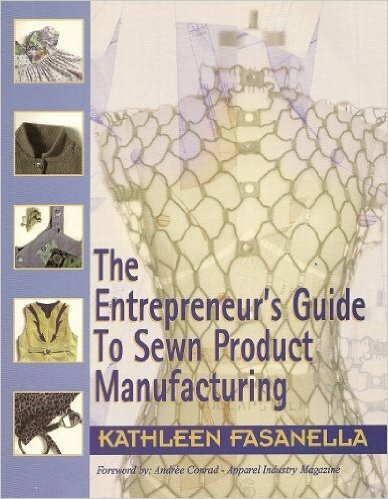 I stressed the problem with this approach in my book and discussed ways to reduce the problems but it seems that the tendency remains to assign responsibility for cost cutting through out the entire cycle on the cutting and sewing floor. Reiterating Abernathy and Dunlop among others, Timo says waste reduction must be realized at the front of the line in design, which is then incorporated in patterns rather than leaving all the responsibility for waste reduction and reducing fabric costs with the cutters. Before I say what my project is about, I will get slightly defensive as I’ve had so many dismissals from so many people over the past three years. Regardless of the outcome (it could be that I conclude that this kind of designing is not feasible in an industrial context) I think the research is worth doing. So, I’m investigating, through the design and making of a small menswear collection – wait for the word monster – zero-fabric waste fashion design. In short, clothes that use all the fabric, and none is wasted. So really, I’m looking at fabric waste as a design rather than a manufacturing/production problem, and from an environmental rather than an economic perspective. So there you have it. Oh, and in the context of my project patternmaking is an integral aspect of fashion design, rather than some afterthought like it is to some designers. That’s how I’ve always worked as a designer. And that’s probably why I get patternmaking rather than design work. I also had my own, financially incredibly unsuccesful label for three years and I laugh at your blog when you write about the mistakes newbie DEs make. I made them all! Thankfully I came out of the experience without any debt, though very thin. To answer the ‘What to do with scrap’ question at FI, I say don’t create any in the first place. Ok, not always possible but we could do so much better. Just over two years ago I spoke at a conference in Denmark, mainly to textile designers, and the response was overwhelmingly positive. The paper is still downloadable (direct pdf link). Bear in mind that I wrote that in the first six months of the project; my thinking has advanced quite a lot since, and I no longer necessarily agree with some of the things I put forth then. But, as a review of the various examples I found in literature it’s not too bad; I’ve found more since. What I’m curious about is whether this kind of designing is feasible (I know it’s possible), and what the various problems would be (grading is one big one, obviously, but I think more ‘flexibility’ exists there than is often thought). Fairchild is putting out a book on sustainable fashion early next year and I have a chapter in that; as it gets closer, I get more nervous. Though debate is welcome, of course. I think I take the lazy, uneducated dismissals much too personally. The paper he presented (and I linked to) is readable so don’t fear you’ll get bogged down in academia-ese and he includes his source material in the end notes for further research. Some of the material I have, other bits I’ll have to track down. Another book that explores these ideas is Cut My Cote ((1973) so it’s probably little surprise that I’m interested in Tarrant (The Development of Costume) and Rudofsky (Are Clothes Modern? and Cultural Foundations of Mass Fashion), neither of whom I’d read of before. I remain absolutely fascinated with the notion that when fabric widths were standardized, two yards of 55″ wide goods made the average man a coat. Two yards of 44″ width goods, made an average woman’s blouse -which feeds my lamentation of increasing consumer girth as it will ultimately entail changing our entire floor infrastructure (wider tables) and I don’t know how we’ll manage to reach into the goods to cut them. The next entry (Pattern Puzzle: Mark Liu) illustrates some of Timo’s ideas. I think Project Runway did a “zero waste” project last season; the designers mostly did not rise to the challenge (one stuffed the scraps into a purse and called it “merchandising). Believe it or not, this is something I’ve thought quite a lot about. And as I’m neither pattern maker nor cutter, it’s been strictly from the design stand-point. One of our products is made to the width it is because I can get exactly two out of a 60″ width fabric (or thereabouts – this product doesn’t need to be precise in the width). I regularly make decisions to standardize pattern parts for reasons of fabric usage. Granted, I’m not making apparel, so there’s a big difference there, but this stuff is definitely on our radar, and fascinating to think about. I have some information to add fuel to the girth situation you allude to. Last weekend, I sewed a 58 Stout Portly jacket. It took an additional 30% of time to do because the sewing table was too narrow to hold the garment. It required folding the jacket in order to control the seams as they passed under the needle. In short, the epidemic affects all aspects of manufacture, not just spreading and cutting. I love David Pye’s work–there’s another Brit whose looks at the theory of workpersonship also–i’ll get his name later. I like the feather/flower dresses although I can see that they would not appeal to everyone. Still it seems to me that the idea of waste has be more than just not having scraps left over. That is how much more energy might one be using to laser cut those wonderful flower edges–and is that energy renewable? How much longer would it take to construct the flower edge garment? I’m asking the questions to try to look at the whole process of making, though I sure don’t want to discourage innovation in any kind of waste, whether it happens on the design end or somewhere else. But I am making a bunch of handbags for a Christmas bazaar that are made almost entirely from some of those scraps (I had to buy a couple small pieces for lining a couple of the bags), so at least I’m recycling some of my stash. Christopher Frayling is the other person I was thinking of who has done work on craft theory and tacit knowledge. He teaches at the Royal College of Art in London. I assume others who visit this blog probably knows more about him than I do. The whole tacit knowledge thing though is not that new. Michael Polanyi has done a lot of work in this area also. And some where I have more info about earlier folks. If I can scare it up I will post it later. I can’t agree more. There is an abundance of wasted resources, time, and energy at the design stage. The amount of wasted resources, money, time and manpower on consistently uprooting ideas, directions, samples, color stories…etc…etc…is staggering! This is usually justified as “part of the creative process”, but in reality very little has to do with being creative and has more to do with lack of vision, bad management or a general disrespect for “the design process” and the vast coordination of resources it takes to produce a quality product. There’s no reason why the design process can’t be streamlined more up front to efficiently utilize these resources. This would require the design dept. to THINK thru the big picture, spending more time merchandizing the lines up front instead of waiting until later in the game which often results in numerous styles being dropped or haphazardly redesigned at the last minute. I totally understand when concepts that look great on paper don’t translate well into actual fabrications, but more often than not, it’s the lack of preliminary forethought at the design / concept development stage that accounts for the excessive wasted resources later on. Wow, Kathleen, and thanks! And thank you everyone for the kind comments! I’ve only skimmed after a less than ideal day at work but will try to post some thoughts within the next 24 hours. I only became aware of ‘Cut My Cote’ relatively recently, in May at a conference (a funny story about stripping off a Westwood shirt for Alexandra Palmer and Juliet Ash… It was Palmer who actually brought the text up.) Another ‘hole’ to patch as the thesis *tears* develops. I’m further embarrassed to admit that I haven’t got Kathleen’s book but am expecting it this week or next. I have, however, read through the archives here extensively, and thoroughly enjoyed the thoughtful and insightful discussions. So thanks everyone. Yesterday I got David Tyler’s ‘Materials Management in Clothing Production’ (please, I have had beyond traumatising experiences with html tags so can’t link) from 1991, and in terms of the fabric waste thing, it makes for a depressing read, at least initially. It’s all very well to design something where everything interlocks beautifully in the marker but if you’ve got massive variation in width in the one roll (and I’ve seen this happen, especially with inexpensive fabrics) then the effort might be wasted. I’m not so convinced any more that most of the time 99% fabric usage is possible in producing multiples, but I do still passionately believe that creatively harnessing patternmaking as a design tool (as opposed to regarding it as some sort of alchemy that follows design…) can get us a much better result. Being one myself, right from the start I wanted the PhD to benefit primarily other designer/patternmakers as well as people that are one or the other. I’ve a (self-diagnosed) allergy to much academic writing so Kathleen, I take your comment about the readability of the paper as a huge compliment. Of course that doesn’t solve the problem that once the thesis is finished, it will be stored in the thesis mausoleum in the university library and nobody will ever see it again. But in coming months (if anyone is interested) I’d love to provide F-I with some Pattern Puzzles from the menswear collection I’m working on. And just one final thank you to Kathleen: Thank you for all the experiments that you’ve shared here, including the ones that (you say) ‘failed’. In fact, thank you particularly for sharing the failed ones. It’s from those that more succesful experiments and new knowledge emerge. first of all thank you for your kind words about my work. you’re not the only one to think that the “designing knits” and its business is a hard thing. i’ve seen a professional cabinet, but even them have a hard time figuring out if knits are a viable business. now for the no waste designing in pattern, you strike a very important topic. i immediatly thought of the kimono having seen a page with the fabric and how the pieces of it are layed out and every inch used. i bought an army blanket some time ago and this morning i was laying it on me from both ends to see which would give me more lenghth, a collar (maybe). then i used paper towels from the kitchen to try both options (in width or height) and i had started sewing the second sleeve when i decided to check my emails to take a break. not one inch of the blanket will be left, and i am so happy to have a coat for my new year’s eve travel in alsace. thanks again, it is so good to see that people are trying not only to save for the money but save because it is “such a waste” to throw anything” because we are too “special” to be bothered with calculations or too lazy to do any, or too busy with frills to think of fabric waste. i hope i am clear because english is nt my first language. As a weaver, I was already acquainted with “Cut My Cote” as informative on how the problem of fraying has been dealt with as economically (in terms of saving time dealing with it by minimizing cutting). Another major interest of mine is embellishment and hand arts such as smocking, which have also been used to shape while minimizing cutting. These last don’t minimize fabric use, but they do minimize wasted of fabric, I would say, by turning what would have been wasted by cutting into an attractive feature. This entry will be one I mark to inform my design process if I ever make it to the point of having a line. It’s possible. I’m finally writing that novel I always intended to write. I’m a pattern cutter based in London just thinking about AW10 collections and considering how amazing it would be to bring this practice in to my work…………..